Our best list of the top wireless earbuds on the market. If you want something to look nice and sound good, these aptX and AAC-supported 'buds should be on your wish list. Noise cancelling earbuds can be rather costly but the BackBeat Go 410 keeps prices reasonable while effectively attenuating background noise. The Jaybird Tarah offers most of what the X4 model offers with a much cheaper price tag, making it one of the best wireless earbuds. Listeners get all the benefits afforded by the Apple AirPods for a much more reasonable price, and with more reliable connectivity. To get the most out of your dollar, you're going to want to go with the SoundPeats Engine wireless earbuds. Despite how you may feel about Bluetooth, the best wireless earbuds are here to stay. As much as we recommend having a wired pair of earbuds, it’s getting harder and harder to do without a dongle. 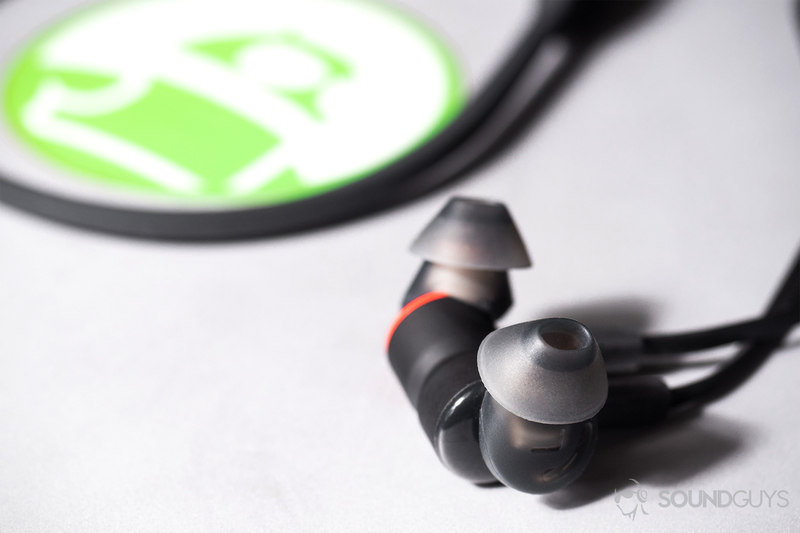 Some of the most popular phones in the world have removed the headphone jack in favor or wireless headphones, including the Apple iPhone, Google Pixel phones, and even the OnePlus 6T. One pair of headphones that goes hand-in-hand with this moment in time is the AirPods, Apple’s take on truly wireless earbuds, but if you don’t want to scrape by with dubious connectivity, keep reading to learn about the best wireless earbuds available. Editor’s note: this list was updated on April 10, 2019, to include new notable mentions and reflect price changes. Sennheiser is a name you can trust when it comes to audio. The company has some of the best, most-expensive headphones in the world in their lineup (and that’s not an exaggeration). Luckily, the HD1 In-Ear isn’t going to break your wallet, but you wouldn’t be able to tell that by the build materials. These have the two earbuds attached to a neckband (neckbuds? ), but the band is wrapped in a premium sheepskin leather that’s soft to the touch and accented with red stitching. All of the controls are along the inside of the neckband and easy to use, and they’re fairly comfortable to wear for long periods of time. Although it’s worth mentioning that the leather does stick to the neck like car seats. But the main two reasons why these are easy to recommend is because of their battery life and their sound. You’ll get 10 hours of constant playback out of these, which is enough to last a few days of commuting or even a long plane ride. Then there’s the codec support. You’ll get AAC and aptX compatibility which we think should be the minimum requirements for all headphones. Neither is the best codec available (keep an eye out for the upcoming aptX adaptive), but they’re leaps better than the standard SBC codec that all wireless earbuds default to. If none of that made sense to you, don’t worry we explain it all a little further down in the article. Who are the best wireless earbuds for? The HD1 is for the person who always listens to music on her commute and occasionally takes a call or two. The smart design won’t look out of place in a classroom or a corporate environment, and you can just leave them around your neck as you go about your day. You’ll get discreet playback controls along the inside of the neckband, which let you skip between tracks, pause or play music, and answer phone calls without getting in the way of minimal design. If you’re looking to buy a pair of wireless earbuds that will last you, these are the way to go. There’s always cheaper Bluetooth options out there, but the experience you get is usually reflected in the price you pay. Though the HD1 sounds better than most, it’s still Bluetooth. So anyone looking for audiophile quality will probably have to lower their standards a bit. These stylish neckband wireless earbuds are great for commuters, frequent flyers, and general consumers alike. The noise cancellation effectivity mitigates the low hum of an airplane’s engine. If you’ve exhausted the battery by playing music for nearly eight consecutive hours, you can always opt for wired listening via the included convertible USB cable. Aside from keeping things nice and tidy, the magnetic housings allow you to automatically play and resume your music. You can also toggle the noise cancelling via the in-line remote descending from the right earbud. Although the earbuds are sweat-resistant, they’re not the best for working out. The housings don’t hook around the ear, and the neckband design can be a hassle when running or lying down to bench press. That said, it’s practical and functional for those sporadic spring showers. If the only reason you want wireless earbuds is for the gym, you’re not alone. While the Jaybird X4 was just released and is a great option for gym rats, that wasn’t the only pair of earbuds the company released. A few weeks after the X4 Jaybird also announced the Tarah earbuds, and these are the ‘buds to beat if you’re going to be exercising. They offer most of what the X4 offers, but with the added benefit of being $30 cheaper. The Tarah features the same IPX7 certification, more or less the same sound quality—which can be adjusted via the Jaybird app—and has a more rounded design. Of course, there were some corners cut to drop the price but there are only two that are worth mentioning. One is that instead of an eight battery life, the Jaybird Tarah allows for just six hours of playback. It’s not much of a problem for the average person, though, unless your workouts last a ridiculously long time. The other difference is that the Tarah doesn’t come with a plethora of ear tips and wing tips. Instead, it provides three all-in-one ear tips. Still, for under $100 we think that’s a fair trade. Especially considering that these are workout earbuds meant to take a beating, so the less money you spend on them the better. BeatsX are the best wireless earbuds for iPhones? Since Apple acquired Beats, the Beats lineup has been decked out with Apple-compatible features like the integrated W1 chip and AAC support. If you’re not a fan of true wireless earbuds but use an iPhone, this is the best option. The BeatsX offers the same level of compatibility as Apple-made earbuds like the Airpods, and cost significantly less. What’s more, they feature a minimal design that aligns with Apple’s design language. The neckband provides plenty of flex, yet remains sturdy. Arguably the biggest downside to these earbuds is the poor battery life. According to our objective testing, we only got 5.45 hours of playback before needing to charge the earbuds back up. To make up for this, though, the BeatsX supports Fast Fuel charging; it only takes five minutes to get two hours of playback on low battery. It’s worth mentioning here that if you’re a big fan of the Beats brand but don’t want to spend Beats-money, we have another list of the best Beats alternatives that might be worth checking out as well. Sometimes we don’t need the best of the best, we need the best value that we can find, and the SoundPeats Engine is one of the best options you can find without cutting too many corners. These earbuds operate via Bluetooth 5.0 and support both aptX and aptX LL, which is unheard of in this price range. These wireless earbuds are IPX6-certified, and if you have yet to catch our full feature on IP ratings, just know that these ‘buds can withstand even your sweatiest workouts. And though these are wireless, they’re not true wireless—so you’re going to have to deal with the neckband design. While it’s not ideal for running, it’s quite comfortable and feels much like the more expensive BeatsX. Not only are they durable, but these earbuds provide excellent battery life. According to our objective testing, the 240mAh battery provides 12.73 hours of constant playback and requires around two hours to charge. What’s more, listeners can connect to two devices simultaneously for seamless source switching. Right now, we really are hard-pressed to find a better bang- for-your-buck pick. Choosing which product is best changes depending on what the category is. If you’re searching for the best headphones, we might focus more of our efforts on sound quality instead of cool extra features. On the flip side, if you’re looking for the best waterproof speakers, chances are we’re going to prioritize a strong, durable build over something like sound quality. We all dread the low battery symbol, and that’s especially important for the best wireless earbuds. For this particular list, there are a few things that take priority. Top priority? Comfort. Plenty of us rely on a favorite pair of cheap earbuds that can be rolled up and thrown into a pocket. Not only do our picks have to be comfortable, but they also have to be convenient and comfortable when you’re not using them, too. You’ll find plenty a few neckbuds on this list for that reason: when you’re done listening to music, you can just keep them around your neck. The second priority for this list is sound quality. It would’ve been first, but if the headphones hurt when you wear them, who cares if they sound good? So we made sure to find headphones that on top of being comfortable, have a sound that wouldn’t make you want to throw them in the garbage. That is admittedly difficult to do, considering that Bluetooth inherently has some limitations, but even still, we feel confident that our picks are the exceptions to that rule. Like #Bluetooth #earbuds? Comfort and sound quality aside, what's the most important thing they can have? The third feature we focused on was one that you all voted on in our Twitter poll. If you didn’t get to voice your opinion make sure to follow us on Twitter, so you don’t miss out next time! The feature that most people care about after comfort and sound quality is battery life, which makes sense considering that a dead battery means no music. The cable extending from the earbud housings of the Blue Byrd also serves as the neckband. Shure SE215-CL-BT1 Wireless: The Shure SE215 wireless earbuds are arguably one of the best in-ears around, and the wireless option is just as reliable. RHA MA390 Wireless: If you need aptX support in a neckband earbud package, the IPX4 RHA MA390 has you covered ear to ear. Creative Outlier One: This pair of wireless earbuds features an IPX4 water-resistant build with 9.4 hours of playback on a single charge. It was formerly the best bang for your buck option. Aukey EP-B80: This pair of wireless earbuds stands as an excellent value for listeners who care about style. The ‘buds operate via Bluetooth 5.0 and support aptX, aptX LL, and AAC codecs. Plus, they’re IPX6-certified all for under $80. If you want something a little more affordable, there’s always the EP-B60 as well. JLab Fit 2.0: These might not be the best-made earbuds on the market, but for around $30 they get the job done. Especially if you don’t feel like spending too much on a pair of workout ‘buds. Beyerdynamic Blue Byrd: If you frequently make conference calls and want to ensure that voice quality is clear, Beyerdynamic knows how to manufacture a microphone and applies said knowledge to its headset mic for the Blue Byrd. All of the Bluetooth audio codecs currently supported by Android Oreo 8.0, which is great for all of the best wireless earbuds. When picking Bluetooth headphones or the best wireless earbuds, you should keep an eye out for high-quality codecs. Despite the fact that AAC is really only useful on iPhones and LDAC isn’t hi-res, aptX is still fairly reliable. That said, if you don’t want to shell out some extra cash for high-quality compatibility, your ears are likely too old to discern any major differences anyway. Regardless of what Bluetooth codec you’re using, isolation is imperative for good audio quality. If your earbuds can’t seal to your ear, then auditory masking will degrade sound quality. Picking a good pair of ear tips always helps, too. Some astroturf organizations are pushing the false assertion that Bluetooth is dangerous when, in reality, it’s fine and won’t melt your brain. In the four years, Adam has worked at SoundGuys, he’s had hands-on (or ears-on) experience with too many products to count. So anything that he recommends is something that stood out from the pack. Similarly, Lily has been reviewing audio products even before she joined SoundGuys, and Chris has years of experience testing products objectively to come up with fool-proof data. But we never forget that these products are for you to enjoy as much as Chris in a hot tub. So if a product made our list, it usually means it’s great.